We have levels for most courses, Advanced Placement (Grades 11 & 12 only), Honors, Accelerated, and College Preparatory. For each course listed on the following pages, the level is indicated if the course is leveled. The final yearly average in a course will be computed by doubling the four marking period grades, adding the two semester exam grades, and dividing by the sum of 10. The passing grade for a Full Year course is a yearly average of 60. In the case of semester courses, the passing grade is a semester average of 60. 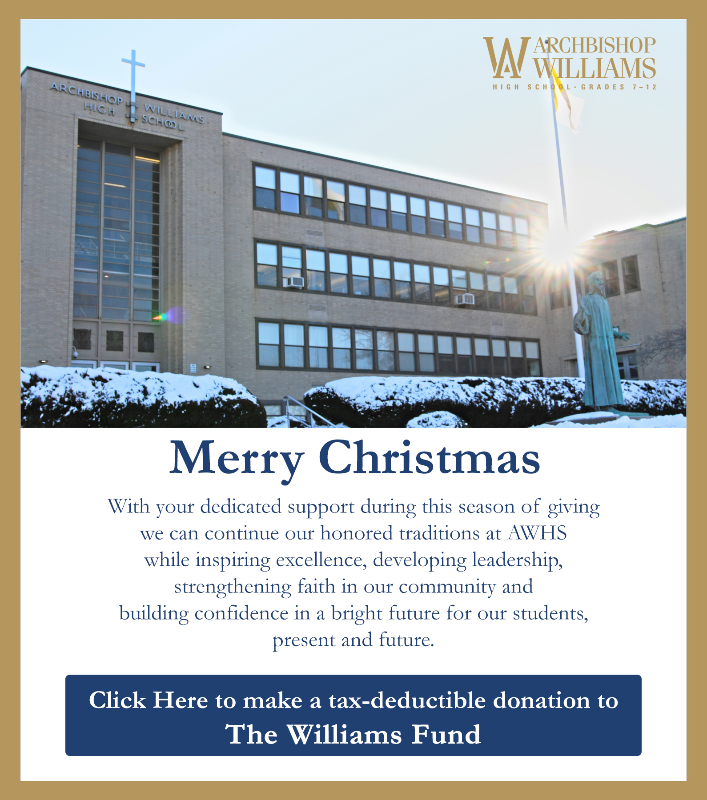 Students in grades 9-12 are required to complete a total of 70 hours of community service over four years to graduate from Archbishop Williams. Detailed information concerning this requirement will be included in the Freshman orientation packet and the student handbook. Students in grades 7 and 8 have community service embedded in their program. In addition to the above requirements, freshmen maybe required to complete one course in Skills, which includes PHYSICAL EDUCATION (unless excused by a doctor), HEALTH EDUCATION, and STUDY SKILLS. Honors students enrolled in two math courses may be waived from this requirement. Seniors enrolled in courses requiring Senior Projects must successfully complete the Senior Project to graduate. To download program of studies booklet, click here.